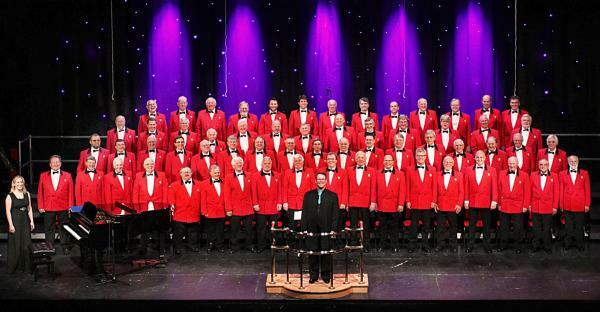 Saturday, 15th November 2015 saw Westerham experience a truly memorable evening when the renowned London Welsh Male Voice Choir gave their concert in St Mary’s Church. 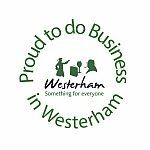 Sponsored and organised by the Westerham Society, the concert was an evening of fabulous choral pieces and a reflection on the start of World War One. 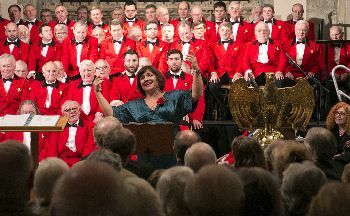 The London Welsh Male Voice Choir, under their conductor Edward-Rhys Harry and their accompanist, Annabel Thwaite, introduced the concert with a first half of their standard and outstanding repertoire. We were fortunate to have Katy Secombe, the daughter of Sir Harry Secombe, and a resident of Westerham, interleaf this half with a selection of other pieces. Katy is a well known and successful singer and actress. 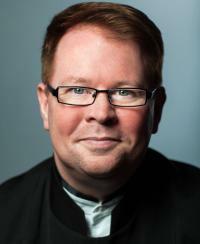 The whole evening was introduced and compered by Ian Edwards, a member of the Choir. In the second half, the concert faced toward a reflection of the Great War. Both the Choir and Katy sang numbers that touched on the emotions and sentiments of this 100 year anniversary. The choir continued their programme, including a truly moving rendition of ‘Stille Nacht/Silent Night’ and finished with a rousing medley of soldier’s favourites from 100 years ago. Between the songs the speakers, Katy, Michael Rudkin, Ashton Taylor Smith and Marril Gibson treated the audience to a selection of moving prose and verse. The Vicar, the Reverend Paul McVeagh also read out letters, to the then vicar of St Mary’s, written by troops from the Western Front. The second half was a suitable tribute to the 350 men, from Westerham, who went to war and particularly the 50 who never returned. The Westerham Society was incredibly fortunate to have a Choir of this calibre be available to perform. They have just performed at the Albert Hall and are next in Canterbury Cathedral. Our thanks go to Harry Planche, a member of the choir and resident of Westerham, for his huge assistance in coordinating with the Choir. As ever, a huge thanks to all the other volunteers who helped organise and run the evening. A collection for the British Legion Poppy appeal raised £543.31. The sale proceeds form the evening will be used, by the Westerham Society, to enhance the Memorial Garden and to assist in the repairs needed to the town War Memorial.